The article deals with the open form and tries to uncover its features by examining a number of representative compositions. Theoretical texts published by the composers along with their pieces of music serve as the foundation of the analysis. Based on these findings, the article subsequently focuses on the open form in the work of the younger generation of Slovenian composers of the first post-war era and attempts to explain its specifics in the light of social developments. Urška RIHTARŠIČ (ursa.rihtarsic@gmail.com) finished her studies in music performance (harp) in 2015 and studies at Faculty of Arts (musicology, sociology) in 2016. As a student, she received two Prešeren Awards. At the moment, she is a doctoral student of musicology; she also works as an associate researcher at Faculty of Arts, as a harpist and a harp teacher. 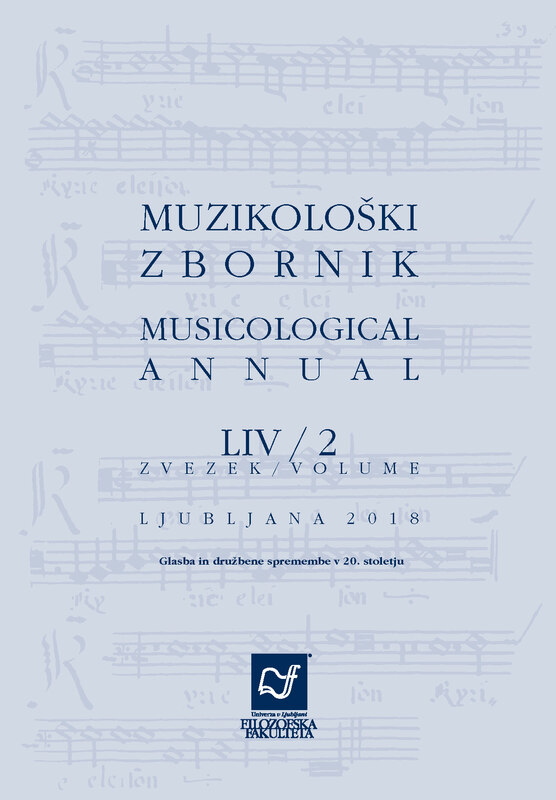 Authors are confirming that they are the authors of the submitting article, which will be published (print and online) in journal Musicological Annual by Znanstvena založba Filozofske fakultete Univerze v Ljubljani (University of Ljubljana, Faculty of Arts, Aškerčeva 2, 1000 Ljubljana, Slovenia). Author’s name will be evident in the article in journal. All decisions regarding layout and distribution of the work are in hands of the publisher.